Love the interaction with history. You need to have another season. Stop all the reality TV and keep good shows going. Please renew Timeless for Season 2. My whole family watches, and the historical facts in the story add to the storyline. Love the show. Keep it going! Omg! We love this show! Reminded and refreshed is on our history, what a great way to do this. Definitely make season 2, as I know it will have so much in store! 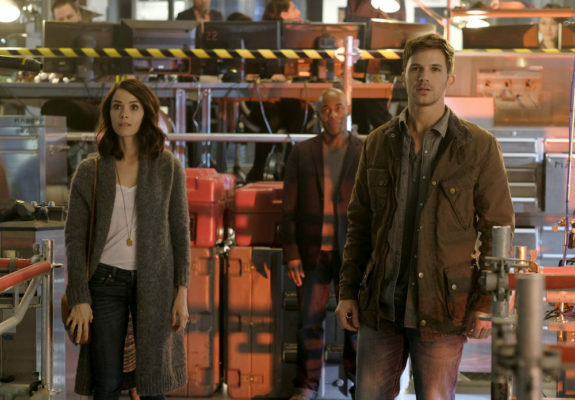 Many shows over the years have offered fans a craving for a continuation of an enjoyable and well crafted storyline such as Timeless only to be disappointed by a cancellation. After awhile people begin to lose faith in seeing and committing their time to a new series with real promise! Love this show! If we can’t watch it live, we ALWAYS record it so we can watch it later! Please renew for another season! The Season Finale for Timeless was such a cliffhanger! There are so many avenues to pursue for Season Two! Don’t cancel this show….Love it! The Season Finale for Timeless was such a cliffhanger….you have to have a Season Two….. there are so many avenues to pursue…….Don’t cancel it! Please NBC renew this I have to have an ending all you did was give us more questions. Please I beg of you to renew Timeless, thank you. Renew Timeless! Best show on TV! Drama, romance, action, and accurate history. What more could any viewer ask for? Love it! Please bring it back. Definitely bring this show back!! It’s different than anything else on tv and I love it. Timeless is one of my favorite shows that I watch! I will be so disappointed if it’s cancellee!